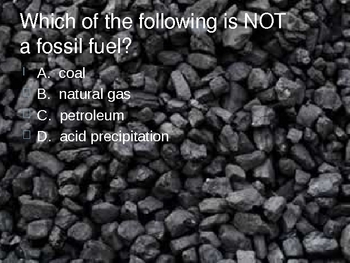 This PowerPoint presentation features 121 multiple choice questions for any grade level Earth Science class. 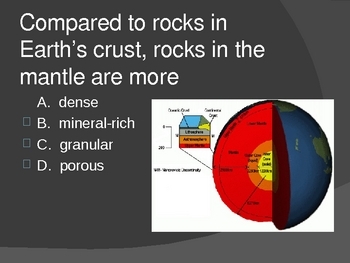 The questions are over the study of Geology, specifically the topics of weathering, erosion, deposition, soil, soil conservation, rocks and minerals, plate tectonics, volcanoes, earthquakes, renewable and non-renewable natural resources, law of superposition, fossils, land forms, Earth's crust, mantle, and core. 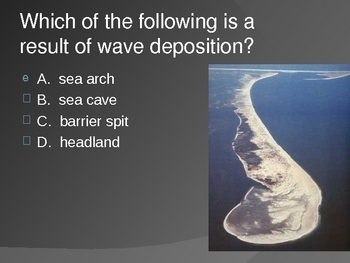 Each slide has a question and a picture or graphic of sort. 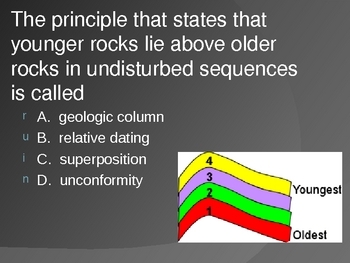 This is a great resource to use as a warm up exercise or as a review or game or type of assessment over geology terms and principles. If you teach Earth Science this is a necessity!! I used the questions as a daily warm-up or bell-ringer There are over 120 slides, so it will be something you can use for over half the year! The answers to each question are in the "notes" section below each slide.